1.2 Why does water retention occur? Water retention, fluid retention or edema is a metabolic disorder which consists in the accumulation of water or other substances in the body. Typically, such accumulations occur in the legs, abdomen or hands. Sometimes this retention causes a swelling in the ankles which should be adequately controlled because it can be a sign that we are in a case of heart failure. It is also quite common for the face or eyes to appear swollen. Why does water retention occur? These fluids are retained in the tissues and not returned to the blood vessels. The lymphatic vessels which carry lymph, are unable to transport some of the excess fluid. Alterations in the lymphatic vessels: The lymphatic vessels cannot transport lymph and excess liquids. This can be produced due to genetic problems or infections. It is also habitual after certain operations or treatments against the cancer by means of chemotherapy or xray. Pregnancy: Pregnancy is one of the causes that can produce swelling when producing hormonal changes that affect the exchange of liquids. Menopause: Menopause is another cause that often produces fluid retention for hormonal reasons. 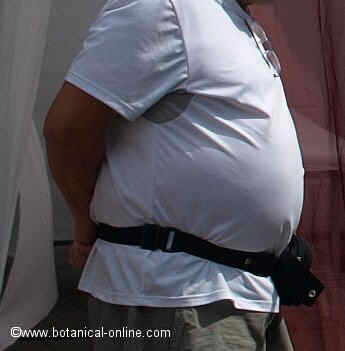 Obesity: Excess of weight can be responsible for this disorder. Age: Aging produces loss of elasticity of the blood vessels and a reduced capacity of the kidneys and the liver to eliminate waste substances. All this entails an accumulation of liquids in the body. This is often the reason for which older people have “heavy legs”. Heart failure: It is often responsible for the symptom of swollen ankles or swollen abdomen. The legs and the feet show a very characteristic swelling in heart failure, while the left heart failure is responsible for pulmonary edema. Hepatic insufficiency: This is responsible for a lack of liquid phase which often results in overall body swelling, especially when the disease is severe, accumulation of fluid in the abdomen, called ascites. Kidney failure: The inability of the kidneys to remove excess fluids and body salts may be responsible for generalized swelling in the body or accumulation of fluid in the legs and ankles. Varices: They are sometimes responsible for the slightly marked swelling of the ankles and a general heaviness in the legs. The cause is the low strength of varicose veins in pushing blood return. Inflammation and inflammatory diseases: The inflammations produced by blows, sprains, surgery, etc., or diseases such as arthritis or gout can cause edemas by increasing the amount of blood to the affected area. Tumors: Tumors can alter the circulation when pressing the adjacent blood vessels and cause edema. Venous insufficiency: The blood backs up in the legs by the ineffectiveness of the leg veins in returning blood to the heart. This produces an accumulation of fluid in the legs with the corresponding swelling, heaviness and pain. Thrombosis in a leg: The appearance of thrombi in the vessels of one leg may be responsible for these symptoms. Sitting for long hours: Sitting for long hours produce similar symptoms. This is especially true in those who make long trips in transportation that require sitting on very small sites (airplane, bus, etc.). Inadequate clothing, too tight to the body can decrease blood flow, promoting fluid retention. Certain medicines can produce the same results. Among these, we can point out the antidepressants, drugs to lower blood pressure or certain hormonal treatments. Heat or high humidity cause vasodilation in blood vessels and lead the passage of too much fluid into body tissues. This is the reason that on cloudy or very hot days we feel our legs heavy. Salt ingestion is responsible for increased fluids as the body tends to neutralize the sodium retaining fluid. Poor nutrition, low in proteins or with a poor absorption of these, can increase the level of retained fluids in the body.